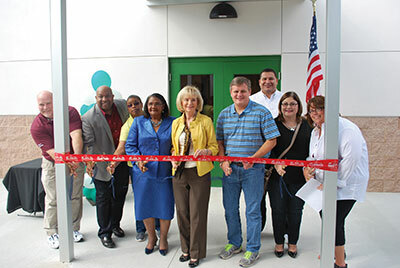 A ribbon cutting for the new gym was attended by county dignitaries and local citizens, including Hillsborough County Commissioners Sandy Murman and Stacy White. Chere Simmons photos. Hillsborough County Commissioners Stacy White, District 4, and Sandra Murman, District 1, were the first to try out the new facilities at the Ruskin Recreation Center’s Beaudette Park on Nov. 13. 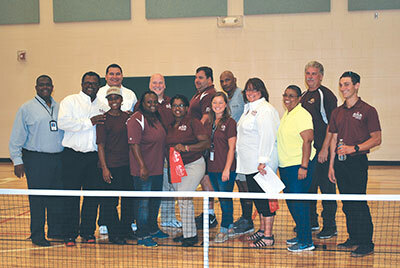 The new, 7,000-square-foot gym will offer additional programming for teens, adults and seniors in the Ruskin area. After-school care, summer camps and athletic leagues for teens and adults are among the programs the new facility will enhance. The new gym was built for about $1.7 million. A ribbon cutting for the new gym was attended by county dignitaries and local citizens. Parks and Recreation Director “Doc” Dougherty, Code Enforcement Director Dexter Barge, and recreation program supervisors Joy Robinson and Jackie Brown were among those in attendance. Refreshments were provided by Elite Donut and The Hot Tomato. County Commissioner Stacy White takes the inaugural basketball shot in the new gym. 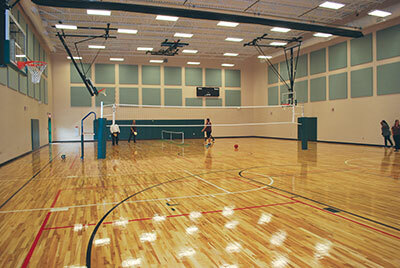 The spacious, 7,000-square-foot gym has basketball hoops that completely retract and also can be raised up and down for different skill levels. Park staff and visiting dignitaries pose behind the pickleball net in the new gym. The recreation center is always looking for volunteers and business partners for upcoming programs, especially over the holidays. Donations can be in the form of food, money, awards and many other items. The park is at 901 6th St. S.E., Ruskin. For more information, call 813-672-7881 or visit www.HillsboroughCounty.org.